Old Mutual South Africa is one of the largest and most well-established savings and investment businesses in Southern Africa, providing individuals, businesses, corporate and institutions with long-term savings, protection and investment solutions. As part of our emerging market focus, we are now leveraging the business into other high growth economies. Our company's prominent position in the industry is reflected in its strong operating performance across all its businesses, the good balance sheet position, strong financial flexibility with demonstrated access to international capital markets and diversity of business. Old Mutual is a significant participant in the South African economy. We remain committed to addressing Black Economic Empowerment and were actively involved in the drafting of the Financial Services Charter. In addition, our social investment responsibilities indicate that we are as committed to serving South African communities as we are our investors. Our product and service solutions take into account our customers' needs and this is delivered through our collective skills, years of experience and our value-driven people. Our aim is to be our customers' most trusted partner, passionate about helping them achieve their lifetime goals. Key to this aim is our drive to launch new and innovative solutions, available through financial advisers. For example, Greenlight is our innovative risk plan that is simple and easy to understand, and pays out what it promises. Furthermore, our partnership with Nedbank and Mutual & Federal (two sister subsidiary companies under the Old Mutual plc banner in South Africa) enables us to offer a variety of financial products and services. From financial planning to managing your financial portfolio, Old Mutual enables investors to manage their wealth with the flexibility of a multitude of investment options. At Old Mutual we are passionate about transforming the way we think and do business - as individuals and as a Group. This includes a commitment to embracing the concepts of diversity, change and innovation. Introducing far-reaching projects and initiatives that assist in economically transforming South Africa and its people. Implementing workplace transformation initiatives during 2010, Old Mutual achieved B-BBEE contributor status level two, putting the Old Mutual group (including Nedbank) at the head of the league of financial services providers in South Africa. The Masisizane Fund (Masisizane) was established for good causes, with a focus on initiatives that would help to generate sustainable economic and social benefit in South Africa. Masisizane was set up as a non-profit development funding company and the management responsibility rests with its board of directors, consisting of an equal number of independent directors and directors appointed by Old Mutual. The Section 21 Company was capitalised from the proceeds of the sale of shares following the closure of the Old Mutual Unclaimed Shares Trust in 2007, after a process of extensive consultation with various stakeholders and approval from Old Mutual shareholders. In designing the activities of Masisizane, we have sought to address the challenges that we, as a country, face. These initiatives are a result of a series of discussions with a wide range of stakeholders. Since inception, Masisizane's initiatives have created more than 41 000 sustainable employment opportunities. As one example, Masisizane and the eThekwini Municipality are collaborating on a project in which the grass-cutting operations of the city are outsourced to 75 cooperatives. Masisizane provided loan funding for grass-cutting machines for each of these cooperatives. Fareed Bruintjies, CFO of the Masisizane Fund, says: "This project will create about 450 sustainable jobs for women, youths and people living with disabilities. Each of the cooperatives will have a two-year contract with the eThekwini Municipality, cutting grass in parks, leisure centres, sports grounds, cemeteries and vacant land, and along roadsides. "This funding is in line with the Masisizane Fund's mandate to facilitate access to resources for job creation and poverty alleviation. Projects like these enable us to support sustainable economic growth and social impact by providing loans that help the poor build their own livelihoods. Given the unemployment challenges, this is a typical example of a collaborative effort to ensure long-term success," he adds. 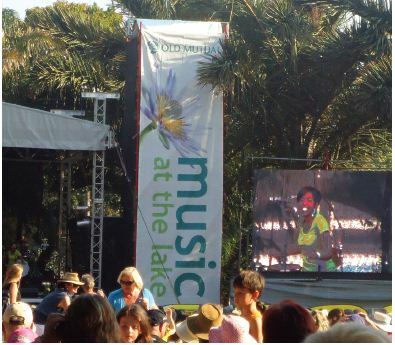 Catering for a variety of tastes in music, Old Mutual is also the proud engine behind the series of family picnic concerts that profile creative artists from a variety of music genres ranging from jazz, rock, hip-hop, Afro-pop to folk, blues and philharmonic orchestral grooves. The series comprises of the Music at the Lake Concerts at the Durban Botanic Gardens, the Summer Sunset Concerts at Kirstenbosch in Cape Town, and Music in the Gardens of the Walter Sisulu National Botanical Garden and the Pretoria National Botanical Garden. This partnership between Old Mutual and some of the country's largest botanical gardens also helps to awaken the public's appreciation for environmental issues and our beautiful green spaces. 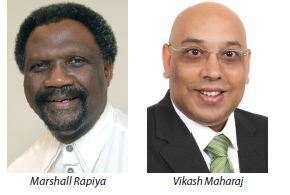 The Old Mutual Personal Financial Advice (PFA) regional office is headed by our Regional General Manager: Vikash Maharaj and is situated at 70 Buckingham Terrace, 2nd Floor, Pharos House, Westville. The region has a complement of 492 advisers, operating from Kokstad in the south to Newcastle in the north, to the most northern parts of KZN (St Lucia). capabilities in the South African industry.